Body Treatments without the Mess! Rich in vitamins and minerals, Klamath blue-green algae and sea kelp extract are combined with a moisturizing gel base. CertClean certified. 169 fl. oz. Stir thoroughly before each use. 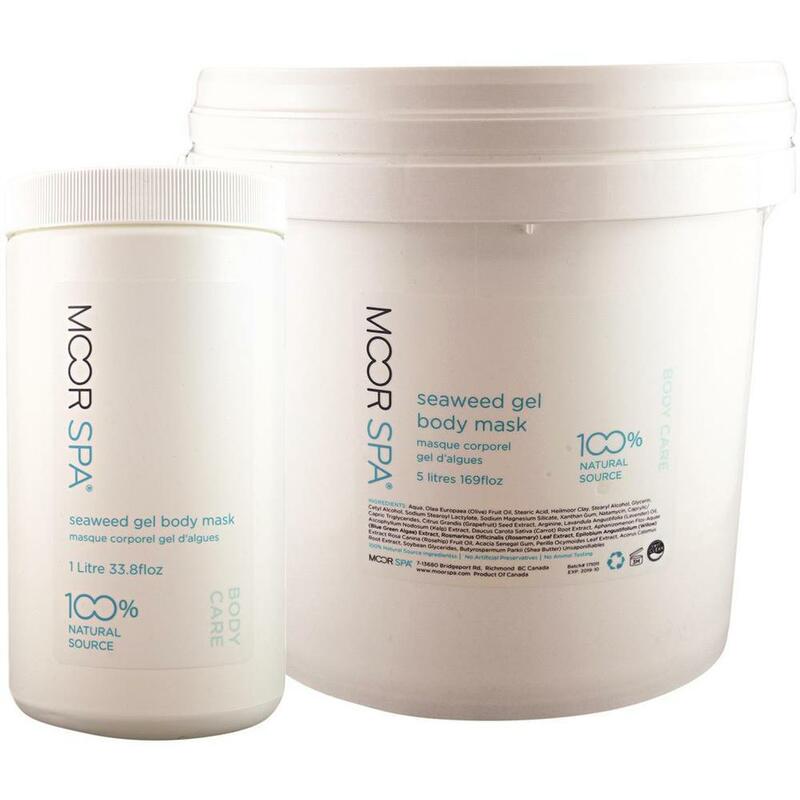 Paint Seaweed Gel Body Mask all over the body, and then use your choice of wrap (sheets, plastic, mylar, towels, etc.) or steam. This product does not require shower for removal; remove with warm, moist towels. Any remaining product can be massaged into the skin along with Moor Spa Body Lotion. Nourishing by vitamins/minerals in a moisturizing gel base. 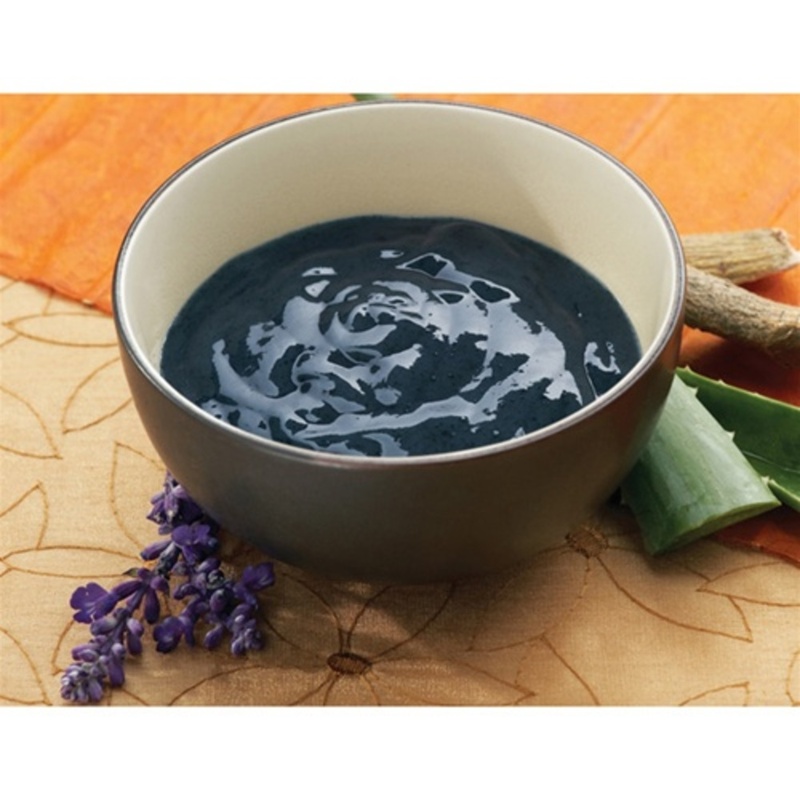 Kelp extract: a natural cellular renewal. Blue-Green Algae: nutrient-rich (glycoprotein, vitamins, minerals, lipids, and enzymes). Rosehip oil: healing and rich in Vitamin C.
The Arosha Starting Kit is the best pack to start practicing, in order to introduce and understand the Arosha concept in a very easy and immediate manner. Its content allows professionals to treat specific problems associated with cellulite and localized adiposity. The results are visible in the first treatment. Includes enough to perform 8 treatments. (2) Brushes - Brushing stimulates microcirculation, nerve endings, and lymphatic system. Good for draining, energizing or relaxing effect: it depends on how it is used. (2) Aqua Drain Wraps (2 bandages, 250 mL. each, 10 cm x 10 m) - Draining cosmetic treatment with dead sea salts. It contrasts efficiently water retention giving to the tissues a much more compact and toning aspect; it remineralizes the skin making it bright and vital. Dead sea salts – Rich in calcium, potassium, magnesium, iodine, and brome promote a draining action, contrast water retention, give tonicity to the tissues and remineralize the skin and the tissues. N.M.F. – Helps to bring the ph to its natural value, promotes cells and tissues regeneration giving to the skin a compact, uniform, and bright aspect. it is also important for its contribution in producing new collagen and elastin, both significant to contrast the signs of aging. (2) Slim Cel Wraps (2 bandages, 250 mL. each, 10 cm x 10 m) - Slimming cosmetic treatment. It has a slimming effect because it stimulates the mechanism of scrapping the triglycerides which combined with the draining effect helps to shape the body. Caffeine – Optimal against cellulite, it helps to drain, detoxify and increase the metabolic consumption reducing liquid retention. Escina – Anti-inflammatory and vasoprotective properties. Its draining action improves blood circulation. Guarana extract – It tonifies and promotes burning of triglycerides, optimal as antioxidant and antibacterial. (4) Cel Term Wraps (4 bandages, 250 mL. each, 10 cm x 10 m) - Cosmetic treatment against cellulite. It stimulates metabolic exchanges and oxygen consumption in the fat tissues; it contrasts the stagnation of liquids and toxins, the main cause of the cellulite process. Centella Asiatica – It smoothes and improves skin elasticity. It stimulates fibroblasts and thus the production of new collagen. Vasoprotective function. It gives relief to swollen legs and promotes drainage. Fucus vesiculosus extract – With its depurative properties, it removes waste and toxins from the body and stimulates fat metabolism. The presence of "iodine" helps to destroy hypodermic fat deposits. This ready-to-use gel has sea kelp for metabolic stimulation and nutrient rich Klamath blue-green algae to hydrate and detoxify. The active moisturizer base includes willow bark extract, aloe vera oil, Vitamin E, rosehip seed oil, lavender, and a touch of fragrance to lift the spirits. This special combination of ingredients gives a pleasant scent for you and your clients. Provides excellent results with or without a compression wrap and can be easily removed with warm, moist towels. No shower needed!. Ahhhhhhhh, 100% Turkish Cotton... Pure Spa Adds Turkish Towels, Turkish Robes and more! Mmmmmmmm... nothing like soft premium towels and robes. Towels and robes are just one more thing that clients subconsciously judge salons and spas on. Nasty rough towels and robes... not a good impression. Fluffy soft luxurious towels and robes... dreamy impression. Mmmmmmm... I love a nice soft towel. OK, maybe I sound a little nutty, but deep down, we all draw conclusions based on our impressions. 100% Turkish Cotton towels and robes from The Turkish Towel Company will make the great impression you want to make. Cotton shmotton, it is all the same, right? Who cares if it is Turkish, Egyptian or from Mars... right? WRONG! What is in the collection? 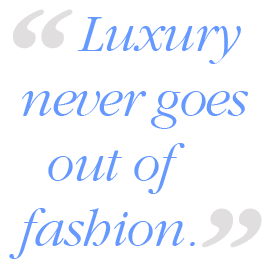 It is pretty complete: Wash cloths, hand towels, bath towels, bath sheets, Bath Mats, Salon Towels, Fitness Towels, Make-up Towels, Lounge Covers, Shower Wraps, Spa Slippers, Kimono Robes, Shawl Collar Robes... AND MORE... all in luxurious Turkish Cotton! Turkish Cotton is premium cotton that has extra long fibers. Using longer fiber cotton in spinning yarn means fewer joins. Fewer joins results in stronger and smoother cotton threads. Turkish Cotton is long fiber cotton and is grown in the small but productive Aegean Region. How does Turkish Cotton compare to Egyptian Cotton? Egyptian Cotton is known for its absorbency, which is especially suited for apparel and sheets. However, in towels too much absorbency means that a towel remains wet long after use. Also, towels that are too absorbent tend to become wet in humid climates all by themselves. Turkish Cotton provides the perfect balance between absorbency and softness which makes it the best cotton to be used in towels. Turkish Cotton, when used in towels, provides maximum absorbency and efficient drying. What makes The Turkish Towel Company's towels better than others? The Turkish Towel Company products are all made in the legendary towel producing town of Denizli, Turkey, the world’s largest center for woven terry production. All of The Turkish Towel Company s products are woven in our modern production facility by Swiss made computer controlled weaving equipment. Particular attention is paid to the stitching and finishing of all products. 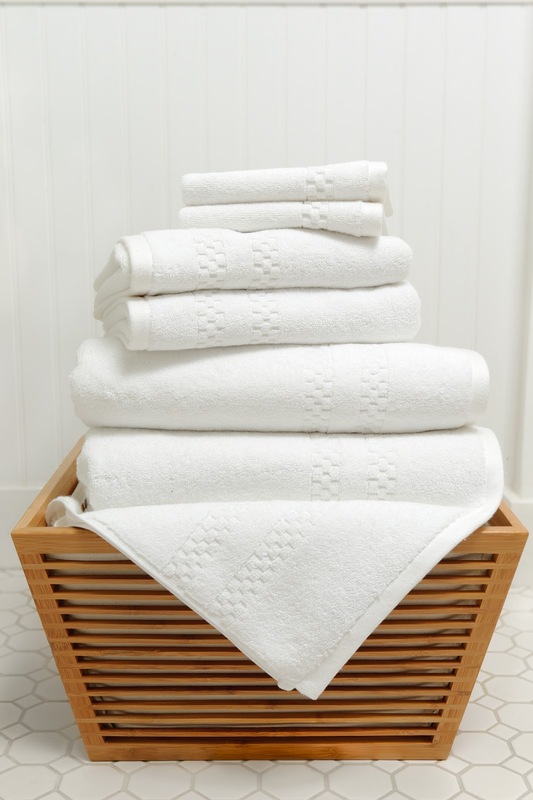 All our towels are double-stitched along the lengths to avoid fraying and for added stability. While a Turkish towel may cost more initially, in the long run it costs a lot less as it will easily outlast towels of inferior quality. What are the advantages to buying white towels versus color towels? Nothing provides the classic bathroom ambiance more than when it is fully stocked with fluffy white towels. White takes the strongest laundering. White can be washed with all other white linens. Do not have to keep away from bathroom cleaners that contain bleach. Matching dye lots when re-ordering is not a problem. What is the best way to care for towels? Exposed to oil, soil, and germs; wash towels in cold water with laundry detergent. If the towels are white, they should occasionally be washed with chlorine bleach. Cotton is a natural fiber and new towels will shed some loose fibers. Avoid fabric softeners—they contain silicon that will make the towels water repellent. While tumble drying will make the towel fluffy, do not overdo, as the heat from the dryer can damage the integrity of the cotton. We recommend using a lower heat setting occasionally or alternate between air and heat drying. To maximize the absorbency of a towel, add a cup of white vinegar to the rinse cycle, once a month, to restore the towel to full absorbency. The vinegar removes any excess detergent, which can affect the towels’ absorbency. As all our towels are woven, a pulled loop will not unravel the towel. If you catch the towel and pull a loop, cut off the pulled loop with a pair of scissors. Moving faster than a speeding bullet, these wraps are shipping everyday over here at Pure Spa Direct. They must be some sort of wonderful... or maybe it is just the great price. We do offer a lot of different brands, but these are a steal of a deal... they probably won't last as long as the ones that are 3X the price, but maybe they will! I checked 'em out and they looked pretty good to me! Why? I have no idea... I'm just a shipping guy! 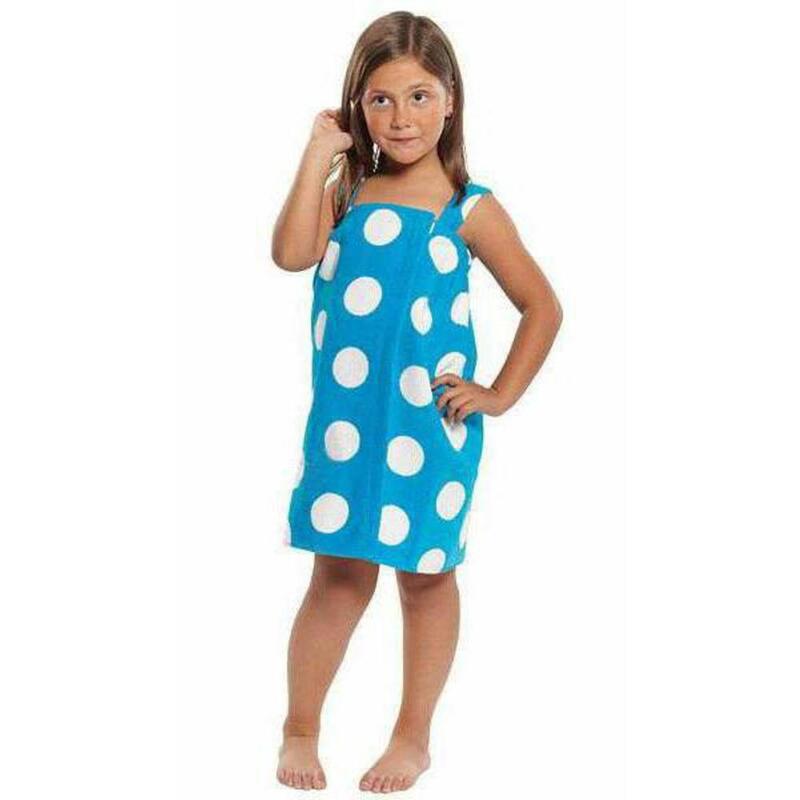 See our great Scalpmaster Terry Cloth Spa Wrap selection HERE!